New Year, New You? Or New Year, New Car? If this is the year you treat yourself, there’s a few things to know about buying a new (or new to you) vehicle that Parkway Automotive can help with! The best thing we always recommend for a pre-owned vehicle purchase is a Used Car Inspection from an ASE certified automotive technician. They will help you determine if the vehicle is a good purchase or a lemon! This empowers you to make the best decision for your safety. Start Me Up - A Practical Guide to Understanding Your Vehicle. 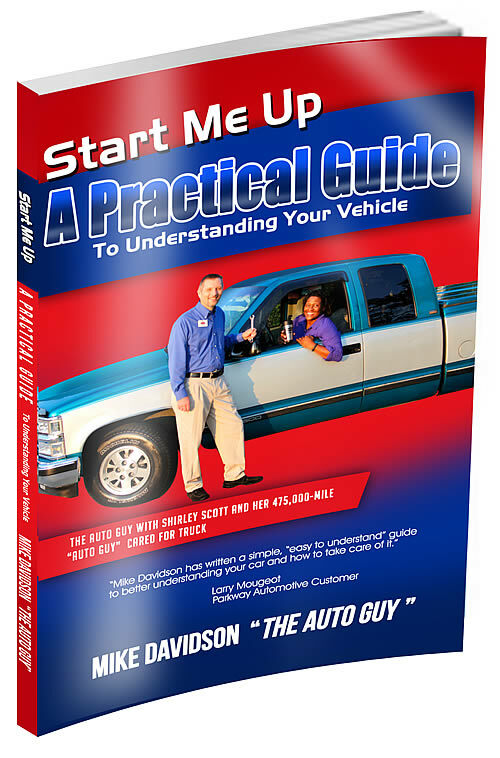 The highlight of the post is really the link for a free copy of “Start Me up, A Practical Guide To Understanding Your Vehicle” by The Auto Guy, Mike Davidson. This book is exactly what it says it is. Inside, there’s clear information ranging from basic vehicle knowledge to how to manage an accident, to knowing when/if you should buy a new (or new to you) vehicle.